"I want these pieces to entice you to take a closer look -- at surfaces that vary in texture -- at bold color combinations and slow chromatic gradations. I hope this work evokes a response from you, whether it is spiritual, emotional, or simply curiosity about content and techniques." Jan Friedman has been weaving since 1974. Jan received her M.A. in Textile Design at the University of Iowa in 1980. She has conducted workshops in weaving, color, and dyeing across the United States. 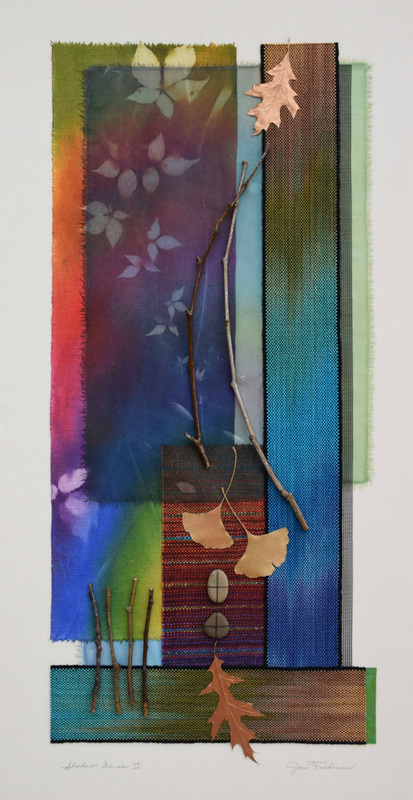 Her tapestries and framed collage pieces have been featured in numerous invitational and juried exhibits and have been commissioned for both private homes and corporate collections.